Heavy, in some cases record-breaking, rains have unleashed flash floods across parts of central and southern Oklahoma as well as northern Texas. So far, as much as 12.5 inches of rain had fallen Friday in southern Oklahoma. The 12.44 inches of rain registered between 6 a.m. and 5:15 p.m. Friday in Fittstown, Oklahoma, about 75 miles southeast of Oklahoma City, was the most recorded in the 25 years since Oklahoma Climatological Survey’s Mesonet was established. The total also ranked second in Oklahoma weather records dating to 1890. And the rain continued to fall Friday evening. 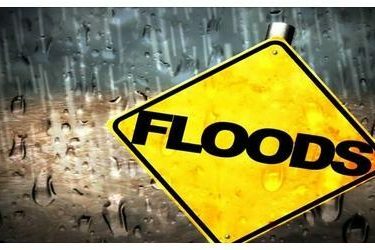 The National Weather Service issued flood warnings Friday evening for parts of central and southern Oklahoma. Flood watches were in place through Saturday afternoon from Del Rio, Texas, to Tulsa, Oklahoma, and the Ozark Mountains of Arkansas.